Maine's very own Bioluminescent Bay! Featured in DownEast Magazine Sept. 2004 ! 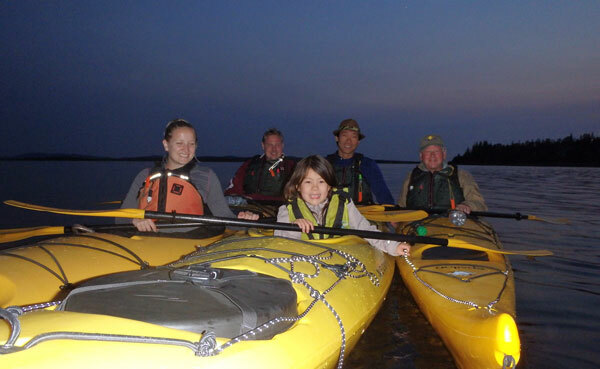 Experience an unforgettable evening paddle in Castine Harbor under a blanket of stars and in the midst of bioluminescent organisms of the water that swirl and light up with every stroke of your paddle. Fascinating! 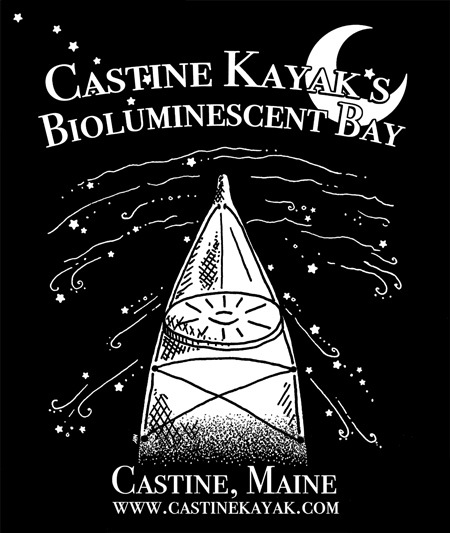 Castine's Harbor is Maine'sown Bioluminescent Bay with a unique ecosystem that creates the perfect environment for these glow in the dark phytoplankton to survive and multiply.We'll explore the constellations of the stars of the night sky as a floating planetarium, immersed in the bioluminescent stars of the water! We gather just prior to sunset and after getting outfitted with lifejackets, paddles and lights we head to the docks with our Maine Guide for paddling instruction and then launch our kayaks into the calm mystical night waters of Castine's Bioluminescent Bay… as the light fades the water begins to glow! All necessary gear provided! We have Double and Single kayaks, allowing beginners and experienced kayakers to enjoy this amazing experience! Stargazing from our floating planetarium & Bioluminescent Night Paddles! 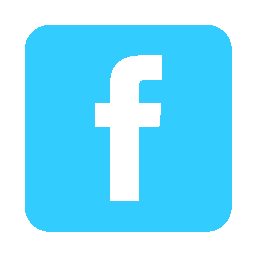 - Offered every Friday and Saturday, 2 or more! May 20-June 3: DARK NO MOON! Best Bioluminescence! June 19-July 2: DARK NO MOON! Best Bioluminescence! July 19-Aug 1: DARK NO MOON! Best Bioluminescence! Aug 18- Aug 31: DARK NO MOON! Best Bioluminescence! Sept 17-Sept 29: DARK NO MOON! Best Bioluminescence! Sept 25-Sept 29: ACADIA NIGHT SKY FESTIVAL! DARK NO MOON! Other Nighttime Spectacular Event Paddles! June 10: Jupiter will be closest to earth with face fully illuminated by the sun! June 21: SUMMER SOLSTICE! FIRST DAY OF SUMMER!! LONGEST DAY OF YEAR! 8-11pm Paddle! JULY 4th: Fireworks Night time paddle! Experience the fireworks from your kayak! July 9th: Saturn at its closest approach to earth! See rings and moons!/Moon will be spectacular too! July 28 & 29: Delta Aquarids METEOR SHOWERS PEAK!!! Aug 11-15: Perseid Meteor Showers PEAK!!! Sept 23: Autumnal Equinox, Shortest day of the year 5:30-8:30pm/Sunset/Bioluminescent paddle! 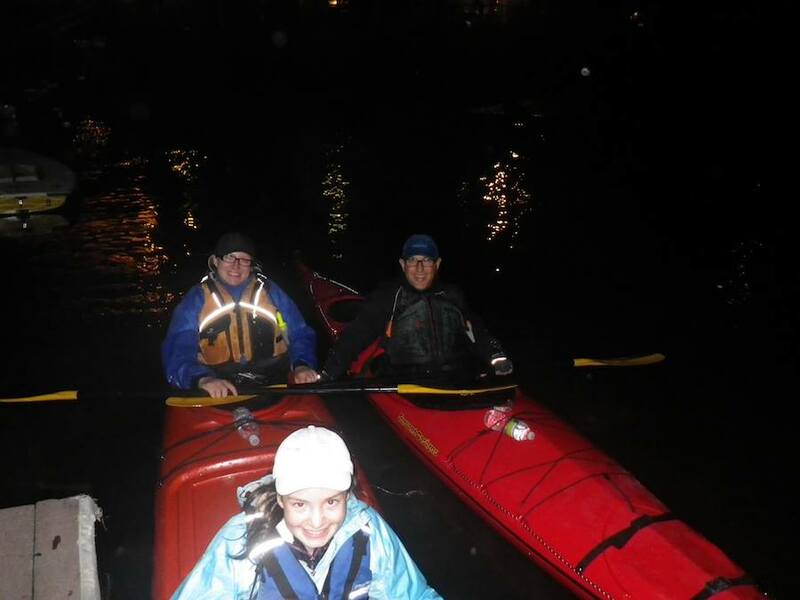 Best Dates for Moonlit Paddles! 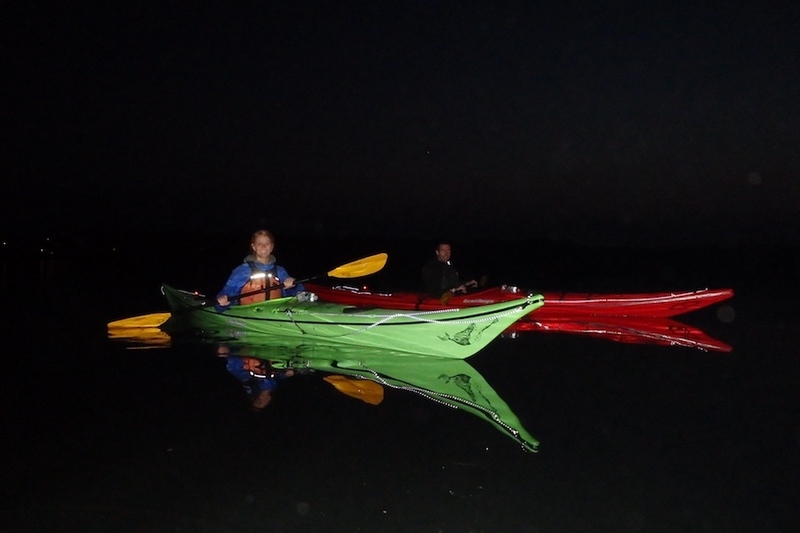 June 15, 16, 17: FULL MOON PADDLE! Sunset/Moonrise Sunday June 16 is Father’s Day!